Bethany currently serves as the junior co-captain of the Marist swim team and holds the 100-yard backstroke school record. As a Marist record-holder and co-captain in only her junior year, swimmer Bethany Powhida’s competitive drive and commitment has excelled her further with each stroke. It all started when Powhida joined the Delmar Dolfins Swim Club at only nine years old as a fun activity to do with her friends, not anticipating the joy she would get out of it. In eighth grade, Powhida made the varsity swim team, which she continued with throughout her high school career. Powhida joined the Marist swim team as a recruit in her freshman year. From the start, her coaches and teammates knew her skill and potential and yet were not prepared for the performance they saw. 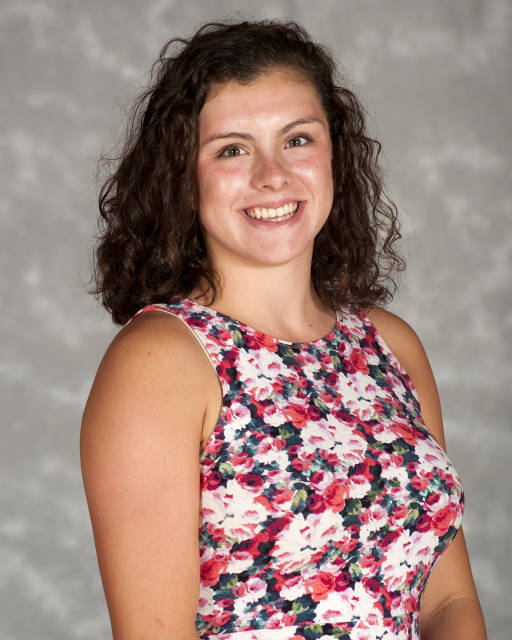 “Bethany blew us away during the mile [swim] time trials at the start of her freshman year,” said Spencer Kelley, one of four senior captains on the team. He went on to say Powhida won a backstroke event in a championship meet as a freshman, typically an uncommon achievement. 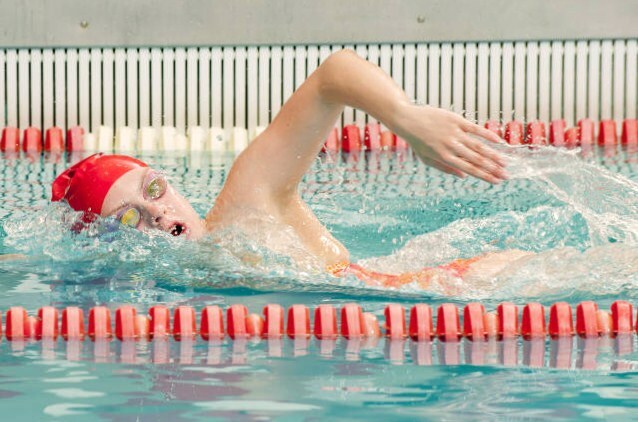 Coming to Marist, her specialty was in backstroke, which explains how she came to hold the current record in the 100-yard backstroke event with a time of 56.61 for Marist. Powhida also swam her way up to be the fastest 500-yard freestyle swimmer on the team by the end of her sophomore year and came close to also setting a new 200-yard backstroke record. “It’s generally unusual for college female athletes to improve each year because they’ve reached their full growth potential,” said Coach VanWagner, making it clear that Powhida’s yearly time improvements are a great achievement. She was nominated by her fellow teammates as co-captain in her junior year, a position usually only appointed to seniors. “It’s a great experience to be a part of a team and to be a part of something bigger than myself,” said Powhida. With one year of captain experience under her belt, Kelley says Powhida will be much more prepared for her following year as captain than others, a position he expects her to be re-elected for. Powhida hopes to keep swimming in her future by coaching swim lessons, allowing her to share her love and knowledge of the sport. Her commitment to the team shines through in multiple ways. Aside from team practices, Powhida sometimes puts in extra workout hours than required, showing her dedication to the sport. It’s no surprise she has continued to improve her stroke technique and times. “She’s good at taking what you tell her and putting it into effect,” said Assistant Swim Coach Jim Billesimo. “She’s more than happy to stay and work on something to change, taking it upon herself to make improvements,” he added. In an interview with Powhida, her team-oriented outlook and modesty were evident. “I enjoy the sport but really love the team atmosphere, especially this one where I’ve gotten really close with people and we get to travel to new places,” she said. Further information on Powhida’s impressive swim history, records and awards can be found at the Marist Athletics Website. This entry was posted in Sports and tagged athlete profile, Bethany Powhida, sports, Women's Swimming. Bookmark the permalink.